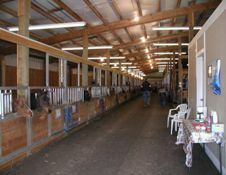 The stall area has twenty-six 6 x12 foot miniature stalls and four 12 x 12 foot large horse stalls. 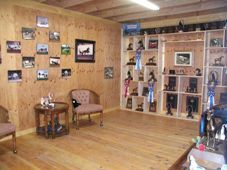 This area also contains two get ready stalls, a warm water wash stall, tack room, full bathroom and heated trophy room. The barn aisle floors are finished in asphalt to ensure safe, yet smooth footing at any time of the year. 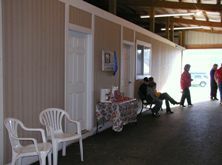 The older small barn has twenty 8 x10 foot Pony/Miniature stalls with a get ready stall and tack room.